The new tip pooling law allowing cooks and dishwashers to benefit from mandatory tip pools is front page news. Servers, an owner, a cook and our CEO weigh in on the change and how it will bridge the pay gap between front-of-the-house and back-of-the-house. Click here to read the news story. Just Say No to Seattle Jobs Tax! Attend the Town Hall Meeting on May 2, 6 p.m., at Trinity United Methodist Church in Ballard. RSVP here. 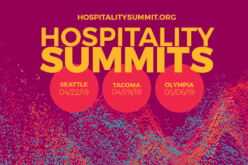 Please email teddim@wahospitality.org if have any questions or would like to get further involved. 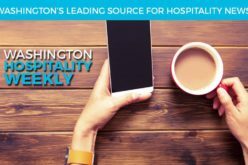 The Spokane Chapter of the Washington Hospitality Association and the Spokane Hotel Motel Association are combining forces in 2018: each quarter, both groups will have a collective meeting. This will offer the opportunity to combine resources, avoid duplication of speakers and strengthen the voice of our members. The first combined meeting will be Tuesday, May 15 at the Quality Inn Oakwood Hotel, 7919 N. Division. Board members will meet at 2:30 prior to the general session that begins at 3 p.m. Speakers will conduct a panel discussion on the Department of Labor and Industries’ Return to Work Program. More information is coming soon at the Spokane Hospitality website and the Washington Hospitality Spokane Chapter page. Three open positions on the Planning Commission in Tacoma offer opportunities for members to get involved with city government and planning. Applications for the positions are due Tuesday, May 8 to the City Clerk’s Office. Visit cityoftacoma.org/cbcapplication to apply. For more information about the Planning Commission, visit the commission’s website. The City of Spokane Valley is looking for a new member of the Hotel/Motel (Tourism Promotion Area-TPA) Commission. Contact Toni Hansen, executive director of the Spokane Hotel/Motel Association, to apply, 509.869.0619, or email thansenSHMA@msn.com. Applications are due by May 1. Boat Shed, Spokane Regional Sportsplex on This Week’s DineNW Radio Show – Listen Online! Don’t miss this week’s DineNW show, now online. Co-hosts Paul Schlienz and Nicole Vukonich talk with Kathy Davis-Hayfield, owner of Bremerton’s Boat Shed Restaurant, 2018 Restaurant Neighbor Award winner. Andy Cook then joins with Paul to chat with Eric Sawyer, president and CEO of the Spokane Sports Commission, who discusses the exciting new Spokane Regional Sportsplex project.